Just like every year, Animoto surveyed some 500 marketers in order to learn the upcoming video trends along with how they would enhance the digital marketing strategy. Apparently, an interesting discovery was visible from this research regarding the marketers. Animoto found that the marketers are unwary about their marketing strategies and what they think they do differs vastly from what they are actually doing. For example, marketers know that video works and help them garner the attention of many prospects. However, they fail to create a sufficient amount of video content since it’s too time-consuming. Lack of resources is another reason that holds them down from achieving success with videos. • Majority of marketers are guilty of creating video content for the sole purpose of promotion. On the contrary, they claim that videos are an integral part of marketing and rate “showcasing personality” and “connecting with customers” as the top reasons to maintain a social media presence. Related: Content Marketing Hacks - How to Become the Ultimate Social Curator! These and many more contradictions were observed as part of the research. 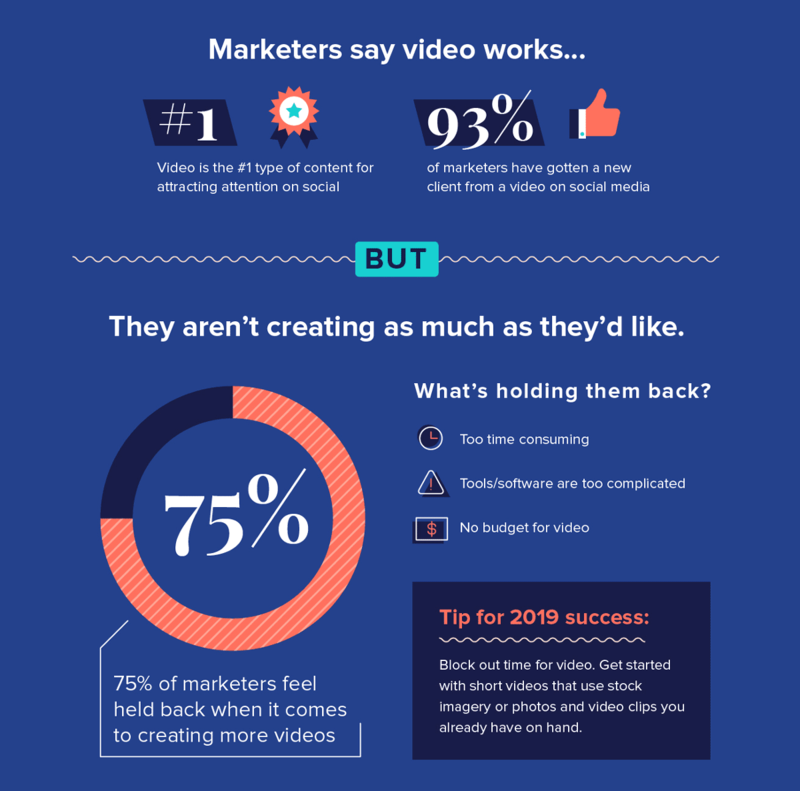 Check out the infographic below and find the difference between myth and reality of video marketing on social media.